Jackie Pirtle-Hall Breaks GO! 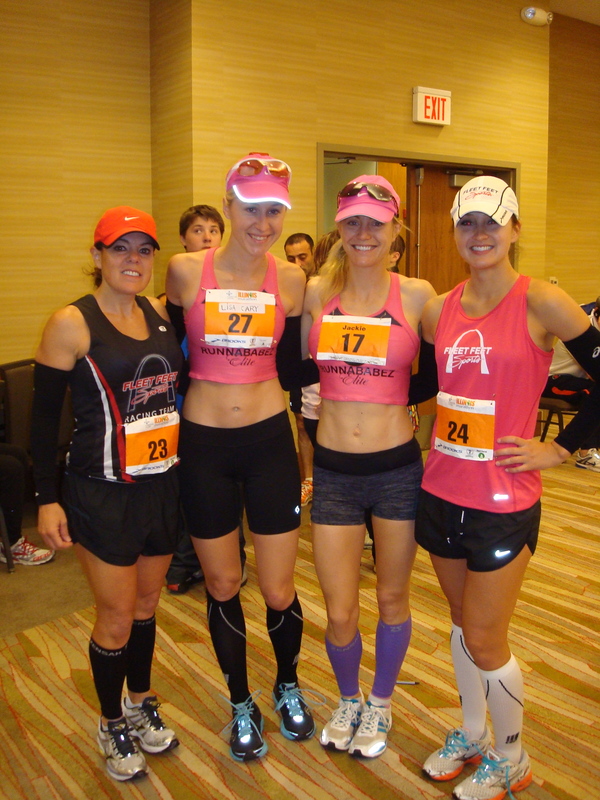 STL Marathon Record! & Lisa Cary sets Steeple PR! Jackie ran an amazing & inspiring race at the GO! STL Marathon on April 15th, she took the title and also broke the marathon course record by minutes setting a new PR in the process of 2:42! Way to go Jackie! Lisa Cary ran the steeplechase on April 14th at the Pomona Pitzer Invite, winning the event and setting a new PR in 10:50, she will now be chasing the Olympic trials qualifier in Steeple since only seconds off! Lisa ran the 10k at the Mt. Sac Relays on April 19th , didn’t have a great race in her eyes.